I can’t believe another week has flown by already and it’s time for my fifth post – where does the time go?! We have three dedicated Recycling Zone Wardens at the Council, myself and two others. We’re all working hard to help prepare everyone in Colchester for the forthcoming rubbish and recycling changes in June. We’re out and about somewhere different every day, knocking on doors, offering help and advice on how to recycle more and talking about the new collection changes. We’ve met some nice people and have had some fantastic results so far. One I wanted to share with you is Keith and his family of eight (six children, two adults and a cute dog). Keith had concerns about meeting the three bag per fortnight limit as the family were putting out 10 black bags a week. I called around to Keith’s for a chat (and a very nice cuppa – cheers Keith). We talked about the changes and ways the family could recycle more. At the same time, I dropped off the free (yes I said free) recycling containers they needed. After four weeks, they had reduced their rubbish to four bags a week but were struggling with space for food waste, so I dropped of an extra caddy for them. Keith’s been amazing and has got the whole family involved in recycling. They put up some simple hooks for the plastic and paper recycling bags, labelled them to make it fun and easier for the kids. As a result, they’re now down to two black bags a week, which are only three quarters full. These can easily be condensed and the family are now able to confidently fall within the three-bag limit. I know that there will be a small number of families, who have specific circumstances, who will produce more than the three-bag limit, or 180litre black wheelie bin. To apply for an exemption, please read our Exemptions Policy, and if you feel you qualify, follow the steps to apply. The process will include a visit from one of us Recycling Zone Wardens to ensure we go through each application on an individual basis. Should paper and card be separated? The recycling and rubbish calendar received by post yesterday was incorrect. I see that this has been corrected on this site. I hope other residents won’t be too confused. 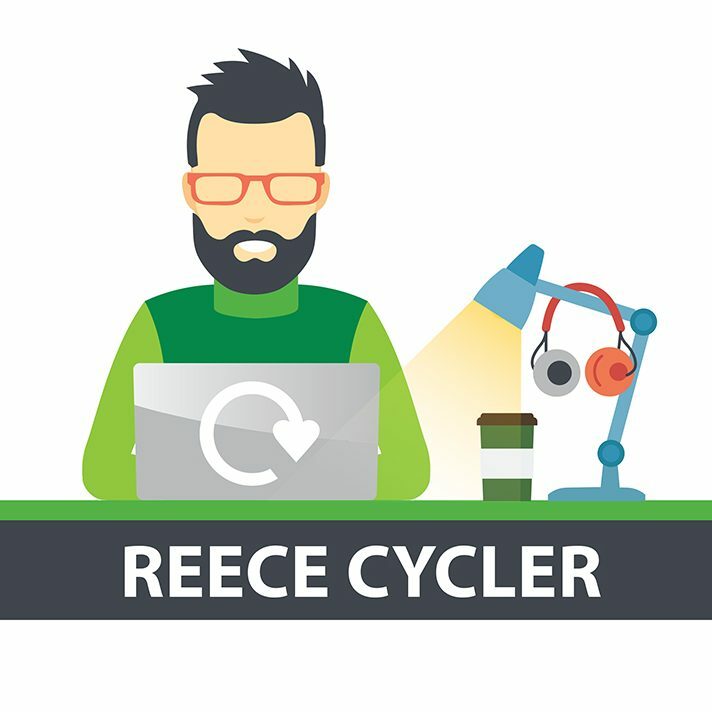 I’m wondering if you’re commenting that the new Recycling Calendar posted to you shows two Blue Week collections in a row? As part of the changes coming in from next week, you and some other residents will start with two Blue Weeks, before then continuing with alternate Green and Blue Weeks. We’re busy getting the new Recycling Calendars on to our website this week so they’ll be handy for any resident to access when needed throughout the year. If you found the previous three month Calendar (March to June) online, this will be being removed at the same time. Please clarify. The previous Recycling and Rubbish Calendar 2017 shows week commencing 20th June as a green week and week commencing 27th June as a blue week. The new calendar 2017/18 shows the reverse. Should we discount the previous calendar? I sent you a message earlier this afternoon which touched on this. Yes, as part of the changes coming in from next week, you and some other residents will start with w/c 19 June as a Blue Weeks and w/c 26 June as a Green Week, so please only use this Calendar going forward.